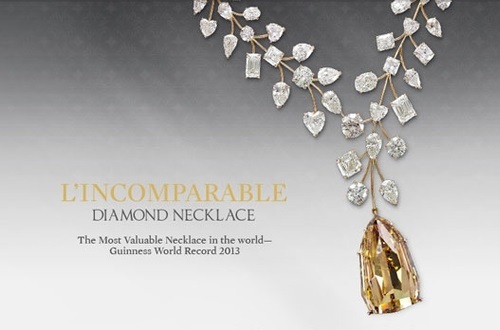 Guinness Records L’Incomparable Diamond Necklace. 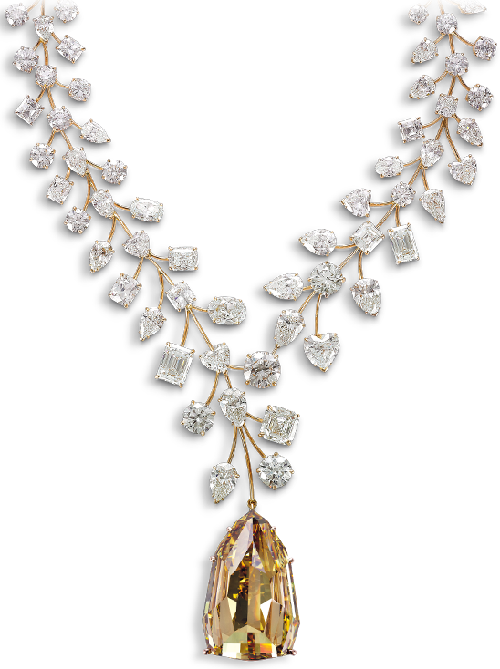 This beautiful necklace named L’Incomparable is incomparable both – literally and metaphorically. 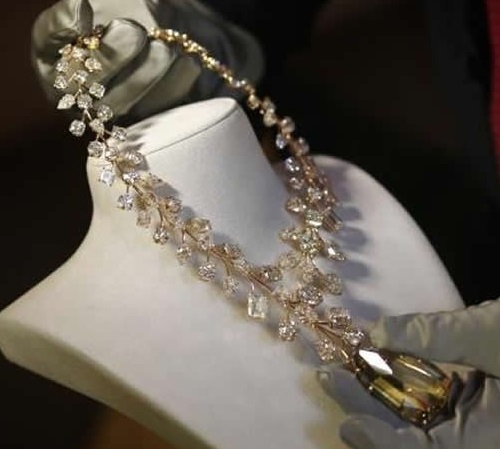 L’Incomparable Diamond Necklace was listed in the Guinness book of records as the most expensive necklace in the world. 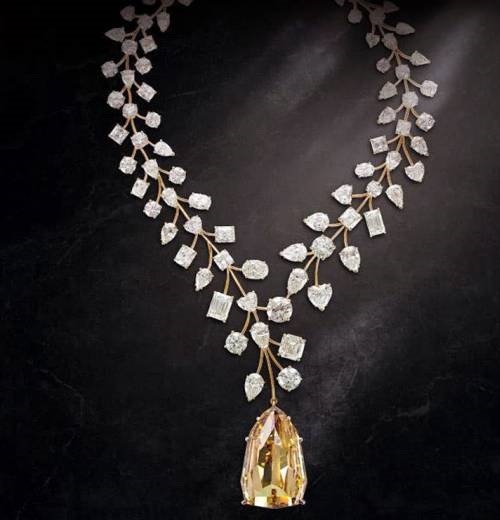 Apart from this huge rock, the necklace is decked with 35 round diamonds, 27 pear-shaped diamonds, nine heart-shaped diamonds, five emerald-cut diamonds, five cushion diamonds, four oval diamonds, three Asscher-cut diamonds and two radiant diamonds. 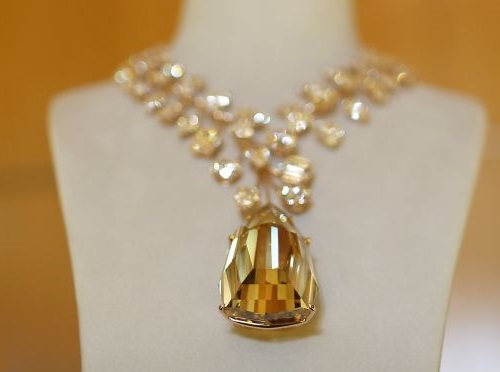 Even more, the incomparable necklace worth 55 million USD was found by a little girl… in a pile of garbage (!). It was 30 years ago, outside her uncle’s house in the town of Mbuji Mayi in the Democratic Republic of Congo. When the girl’s uncle saw the lump, he sold it to local African diamond dealers for an unknown sum. 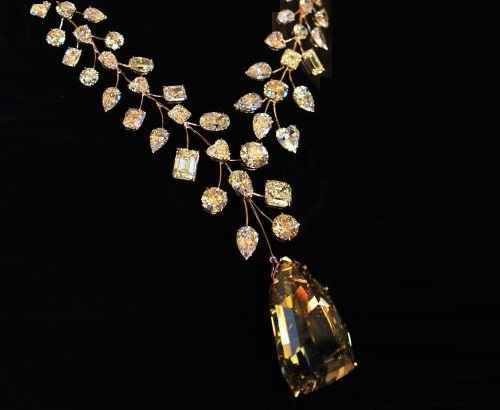 The dealers, in turn, sold it to a group of Lebanese buyers operating from Kinshasa, Kenya. 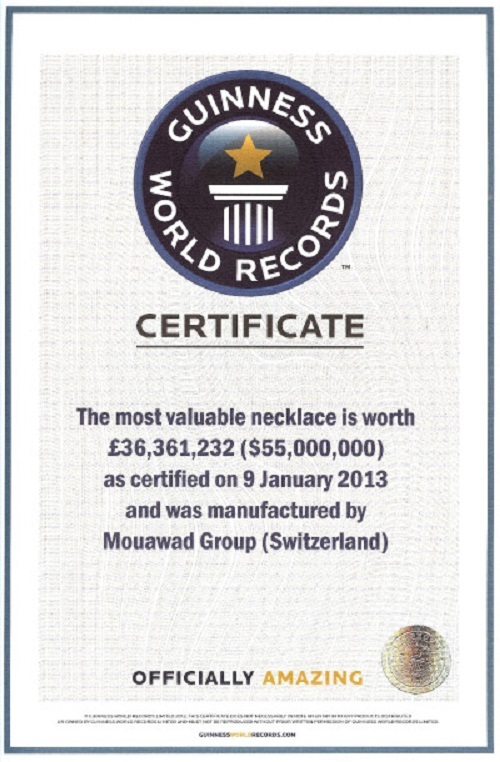 Guinness recorded L’Incomparable as the world’s most valuable necklace in 2013. 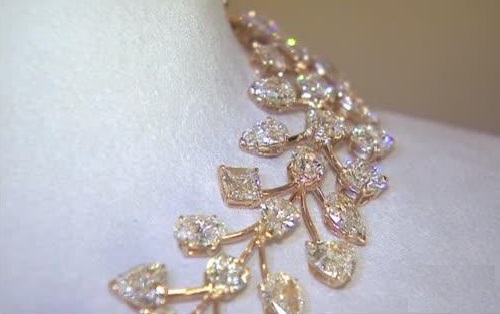 The beautiful necklace was created by Swiss and Emirati luxury goods company Mouawad and offered for sale at a Singapore jewellery show. 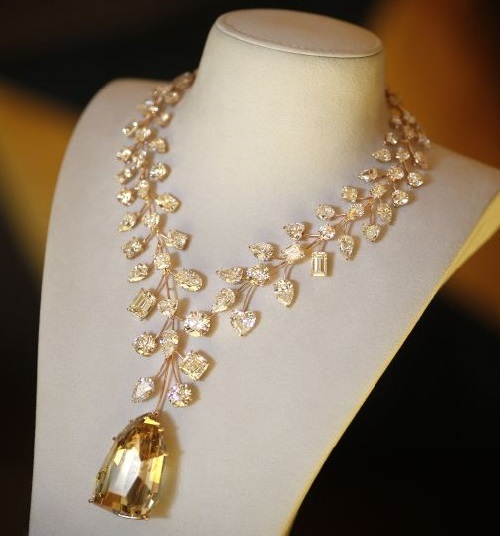 L’Incomparable was protected by security guards, plain-clothed supervisors, cameras, and motion detectors. 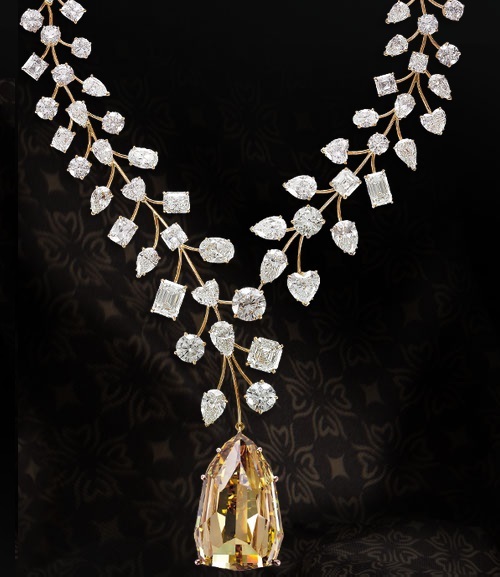 The serious interest was shown by two potential buyers from Asia, Mouawad managing director Jean Nasr confirmed. 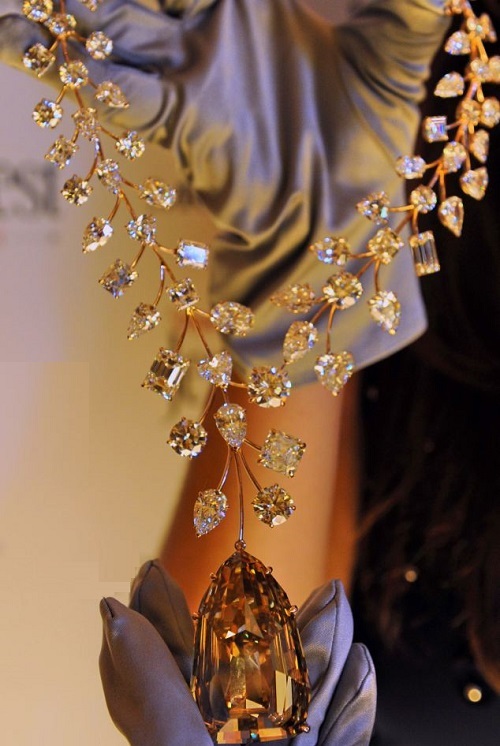 The beautiful necklace L’Incomparable is studded with 90 white diamonds weighing nearly 637 carats. 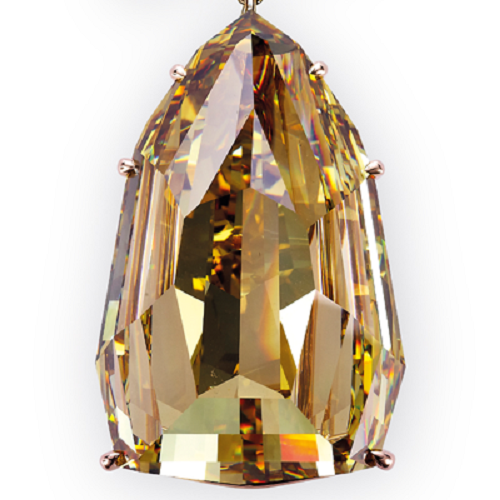 The highlight of this dazzling creation is the 407 carats yellow stone which is also known as ‘The Golden Giant’.